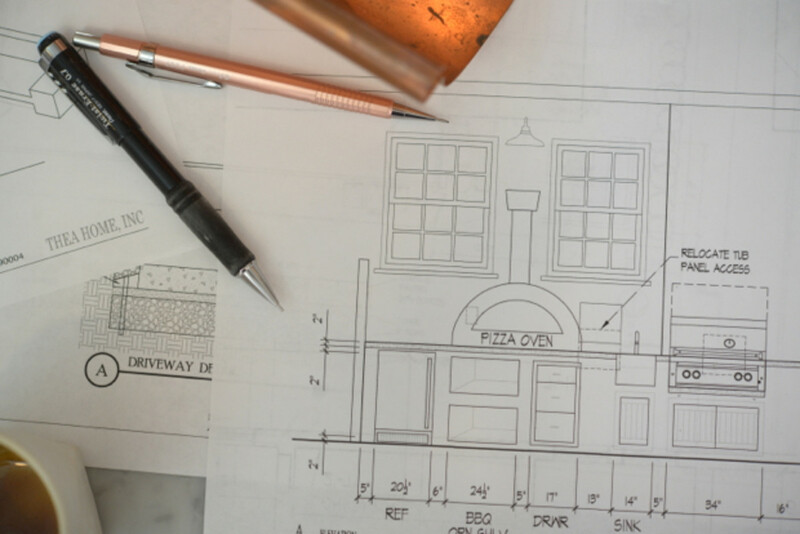 The story behind the talented women designing our front and back yard. You know those friends, coworkers, and people you meet with impeccable taste in everything? Each time you see them, you immediately want to ask where they got their shoes, how their skin is so glowy, the story behind their jewelry, and basically how they live their lives—amongst a thousand other small and big questions? That&apos;s exactly how it is with mother/daughter design team, Thea Segal and Dorianne Passman, but in double dose. Just one look at the astounding before and after photos of the duo&apos;s work (in which dated, &apos;80s-wallpapered rooms become bright, white, dream spaces), is enough to convince anyone of their magic. 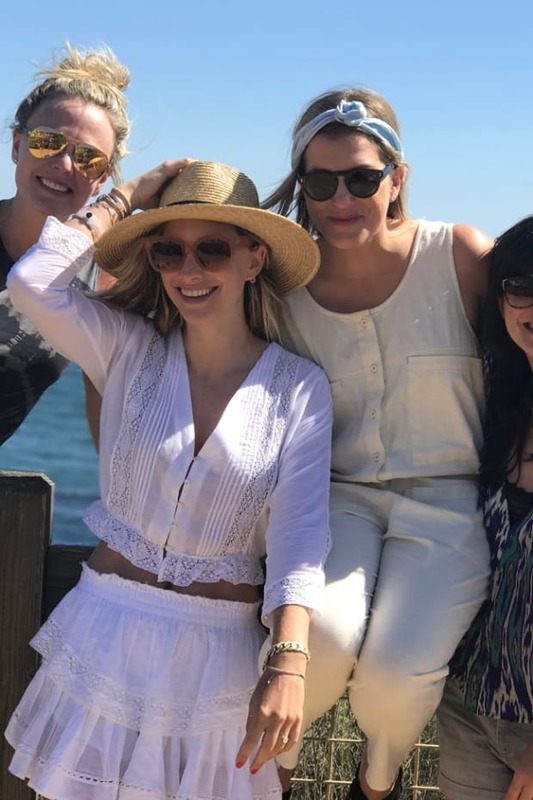 And Dorianne, who just got married in July, had about the chicest wedding I&apos;ve ever seen and a registry I&apos;ve been studying for its cool-girl curation (despite having been married for 4 years). 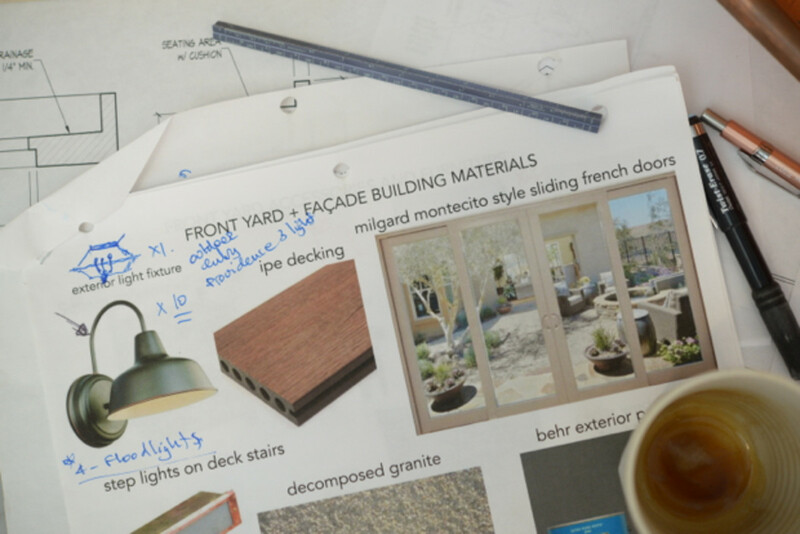 Ever since working with them on our outdoor renovation (photos of which will come as soon as it&apos;s finished—we&apos;re in the final stretch! ), our work relationship has evolved into a full-blown friendship. 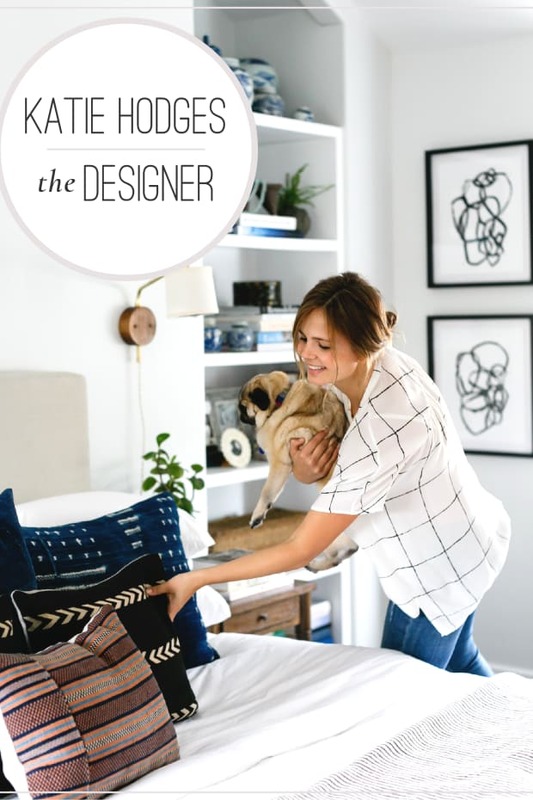 The process of redesigning our space with them has not only been immensely fun, but has felt like an incredible education in all things style and design. I&apos;ve learned so much via these two that I wanted to share with you a glimpse into their business, home, and life—essentially the things that make them as inspiring as they are. After spending a full day "shadowing" the pair—a day that began with an Israeli breakfast made by Dorianne (who, prior to working alongside her mom, attended Le Cordon Bleu in Paris) and that ended with antique shopping together—I&apos;m bringing you the home and fashion advice they live by. 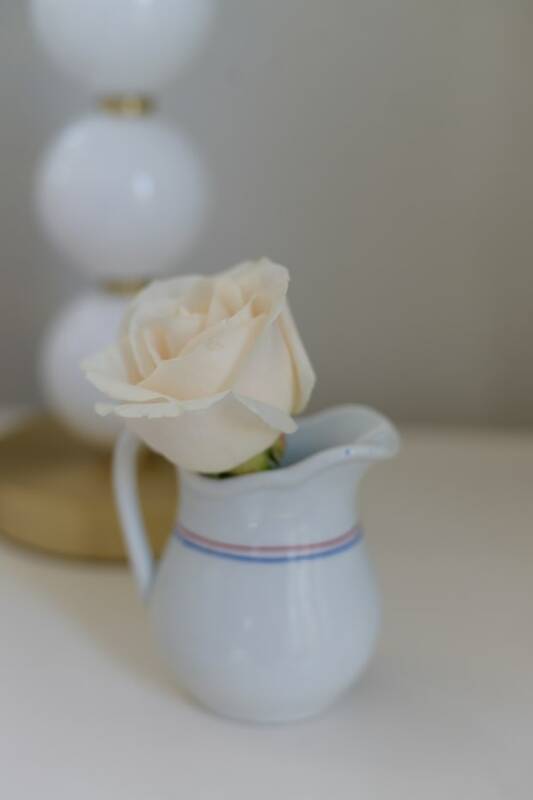 I&apos;ll be posting the details of our antique haul in an upcoming piece, but keep reading to meet two of my favorite people, and their best tips! You two have designed a lot of homes over the years—Thea having done this for over two decades. What are some of the most common mistakes you see people make in home design without realizing it? Thea: "People consistently push their furniture all the way up against the walls. 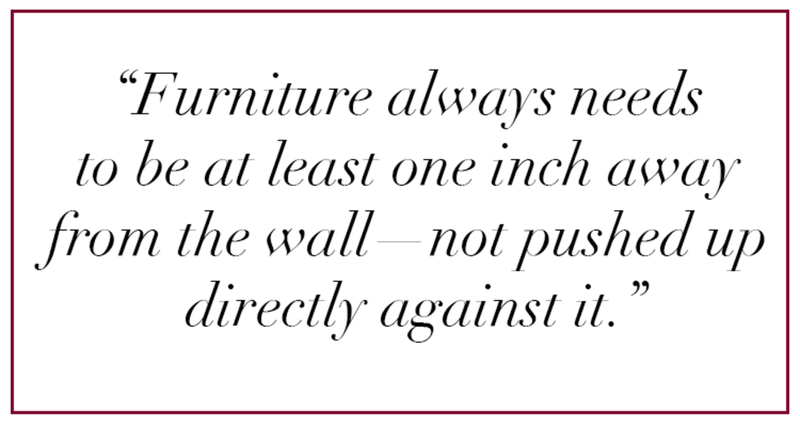 Furniture always needs to be at least an inch away from the wall. Your pieces need to breathe." Dorianne: "When you decorate a room, people usually think they need to have every corner filled, that every hole needs to be occupied with a side table, a lamp. In fact the more negative space you have, the clearer you&apos;ll feel in a space. It will look more open and feel more calm." What are some design "rules" you live by? 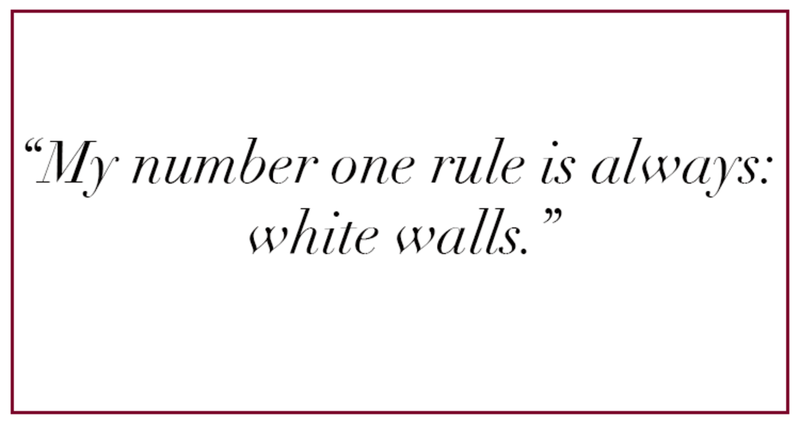 Thea: "My number one rule is always: white walls. You get used to colors, and then you don&apos;t see them anymore. White walls are a great background for you to consistently switch things up with accent pieces, so color comes from a flower or a vase. You can always accessorize and change in that way. When I have a client who says, &apos;My daughter loves pink,&apos; I try to show her that that doesn&apos;t have to mean pink walls, pink all over. Give her pink in the pillows, or give her a pink chair. If it&apos;s pink everywhere, it&apos;s too restrictive, your imagination gets blocked." A sweet little kid-friendly nook upstairs at Thea&apos;s.
Thea: "In general, every room needs to feel like it&apos;s part of the house. It&apos;s important to let kids express themselves, but I tried to teach my kids that when you grow up in a house, your room is part of the home. It has to feel like it belongs to the rest of the house. It&apos;s not entirely its own planet. This is easier to control when they are a bit younger. In Dorianne&apos;s teenage years, she painted one squiggly stripe that went around her whole room, amongst other things [laughter from both]." Dorianne: "In any project that we do, the house dictates a lot of it. We work with the person and the space, so we try to give everything its place and intention, but still have it feel warm and like a home, not overly designed. One small but impactful rule is to not keep blankets on all of your sofas and chairs. Instead, corral them all in one place—a gorgeous basket—and then people can reach for them if they need them. 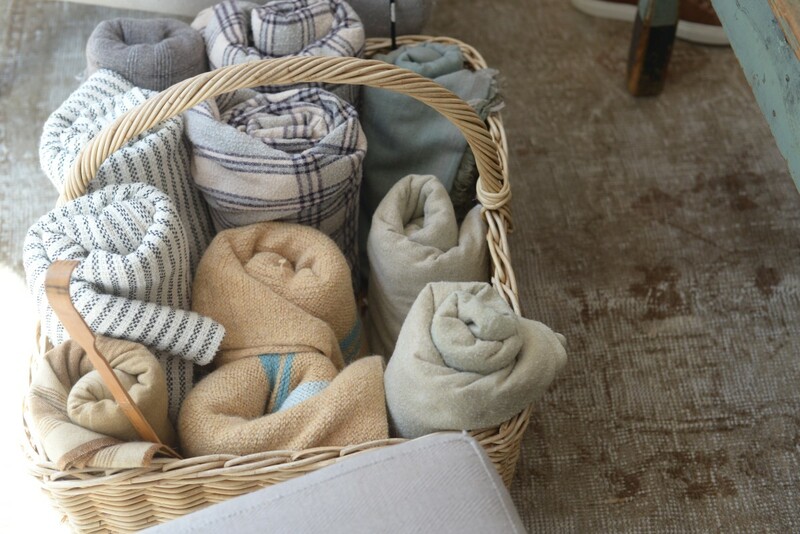 For bathrooms, we love Turkish towels in a basket. And never never never have a box of Q-tips out. I don&apos;t even keep toothpaste out. Products out of sight!" Thea: "A few more I thought of: I don&apos;t believe in family photos in common areas. Have them in your hallway leading to bedrooms. For throw pillows, I never do two of the same pillow. I don&apos;t like things to be symmetrical. So that means if you&apos;ve got a vase on a mantel, it&apos;s off to the side, never in the middle. And nothing flanking ever. 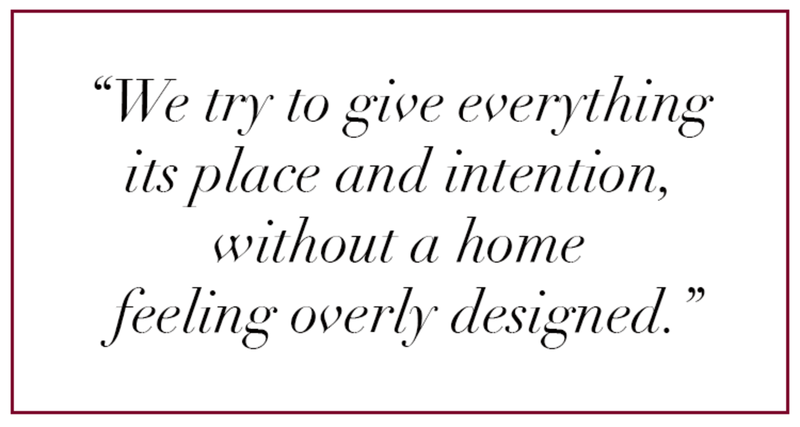 So no matching flanking throw pillows on either side of the couch, or flanking vases." Kitchens are one of your strong suits/favorite areas to design. 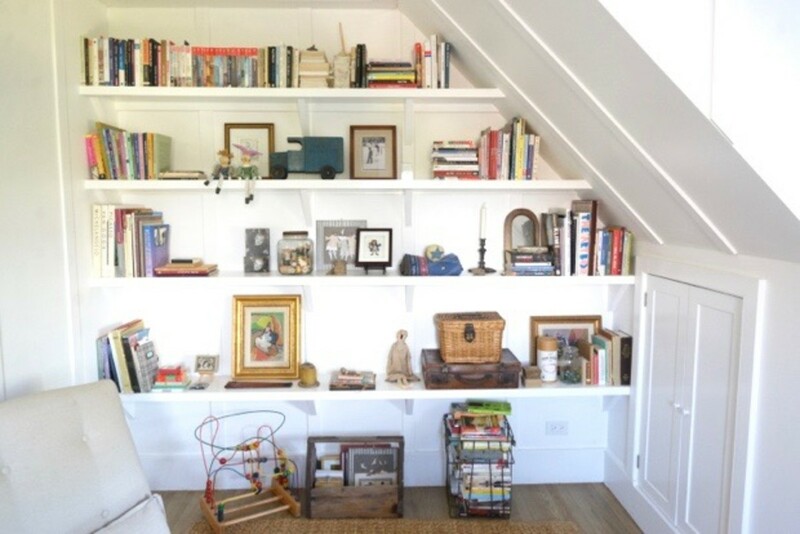 What are your rules for this area of the home? 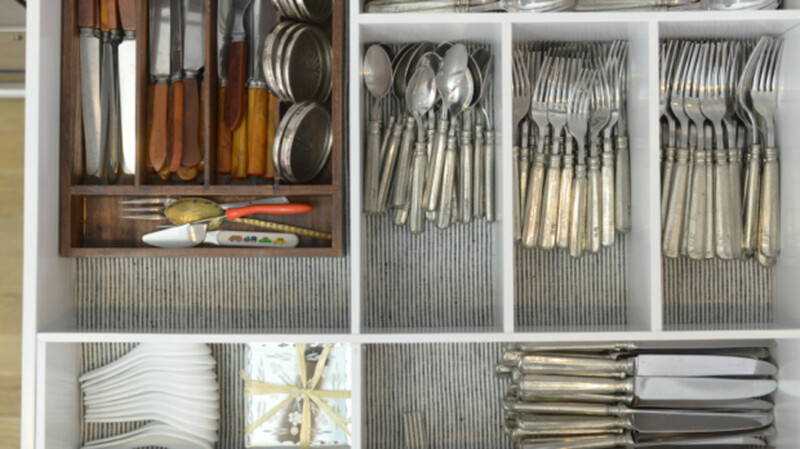 Another thing we like to emphasize is having as much counter space as possible. 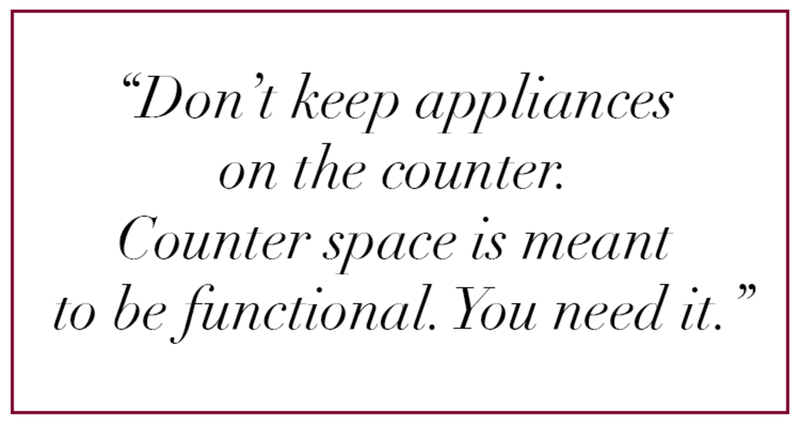 Don&apos;t keep all of your appliances on the counter. 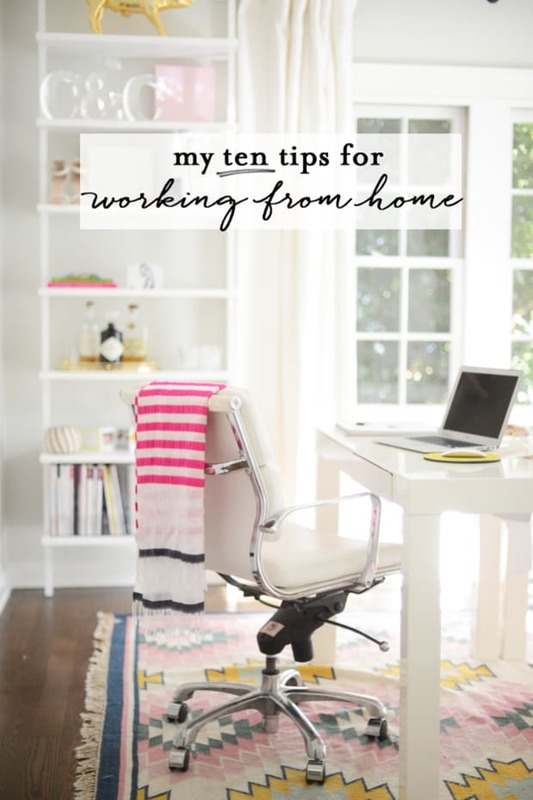 You need the space to work. 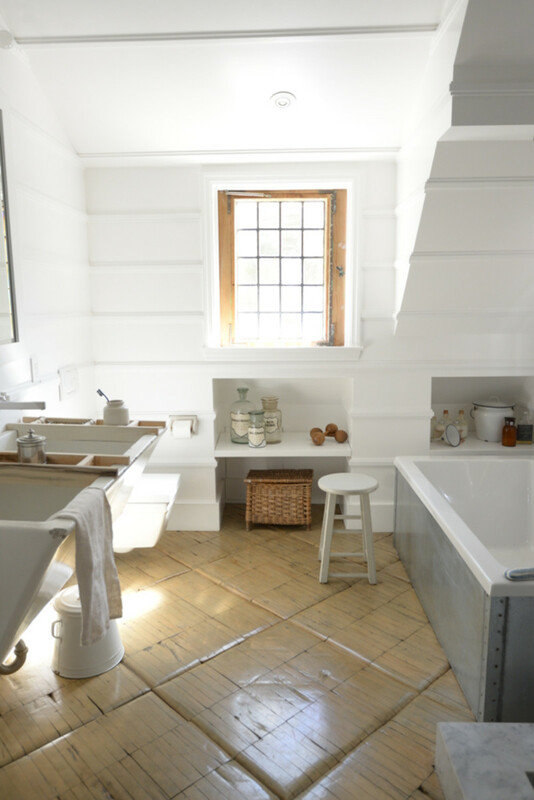 That space is for you to be chopping and putting mixing bowls out, it&apos;s meant to be as functional as possible." What are your tips for rugs? Thea: "Our rug rules are this: Rugs can have color; they&apos;re a great place to bring in color, but it can&apos;t be pure color. It has to be distressed; a bit off. A lot of the rugs we source look like they&apos;ve been through a lot. 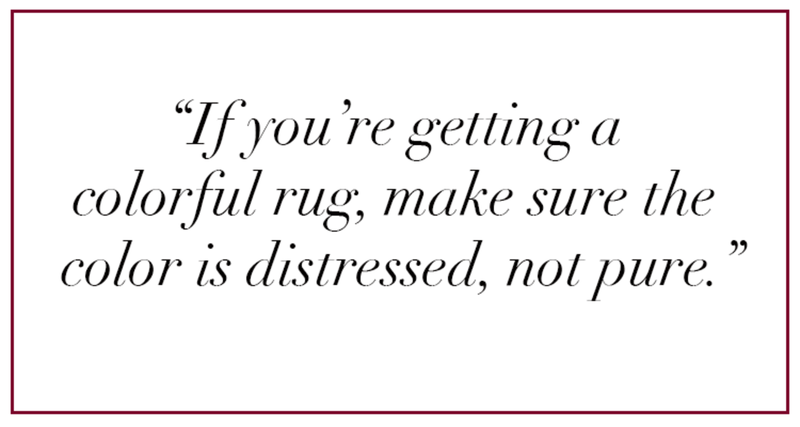 So don&apos;t be discouraged if there are tears or rough edges-the imperfections of antique, used rugs is what brings the charm. I&apos;ve embraced rugs with the stench of camel pee in them. I swear. It just gives rugs character." Dorianne: "In terms of sizing it&apos;s okay if rugs are off. If you find one you really love and it&apos;s too small, you can layer it on top of a neutral rug." Thea: "I also like stripping a rug and living without it for a bit. Enjoy the room free of that element, let it breathe. That&apos;s something so nice to do with the transition between seasons, and for the legs of a piece of furniture to transition directly to a wood floor without the rug in between. 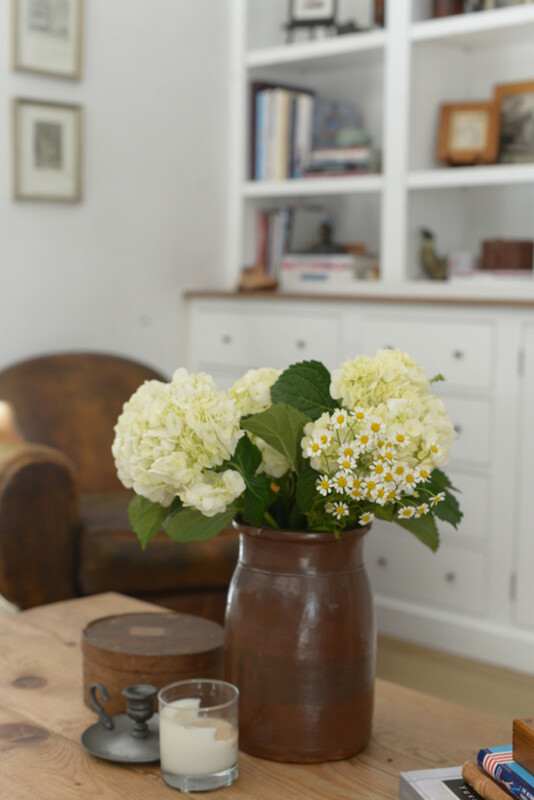 I just did that in my sitting room, I took the rug away for summer, and it&apos;s been lovely." What&apos;s your take on light? Thea: "We&apos;re really big into dimming. Ambient light, not into LED lights." Dorianne: "I think sconces give a really nice feel. They can warm up a living room really nicely. In my place the ceilings are original 1920’s curved ceiling. I didn&apos;t want to touch them but I also didn&apos;t want to live off of lamps, so I just put sconces in." You two exude warmth and inclusion. You&apos;re the consummate hostesses in my book. 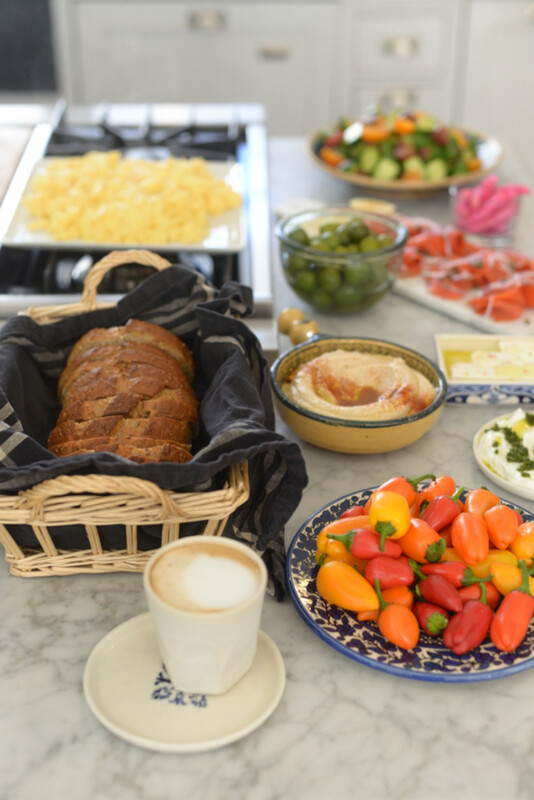 What are your rules for being a good host and homemaker? 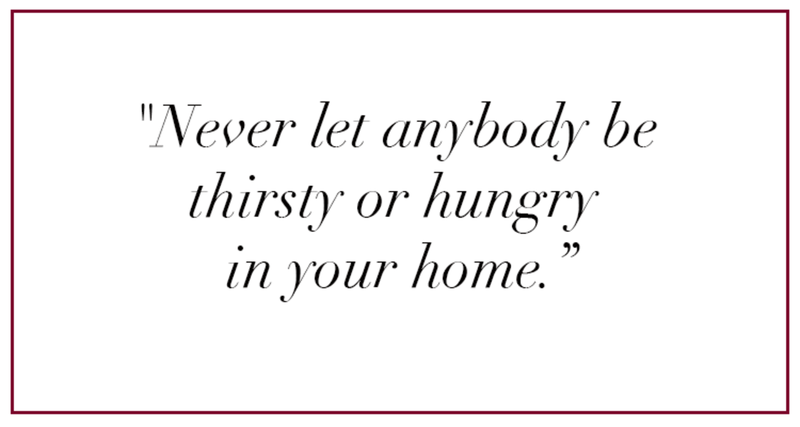 Thea: "Never let anybody be thirsty or hungry. Even if they say that they are not hungry and thirsty, you still put something out. That&apos;s what makes people feel comfortable." Dorianne: "Music on ALWAYS. Always have a candle burning. I have different ones for different parts of my house. 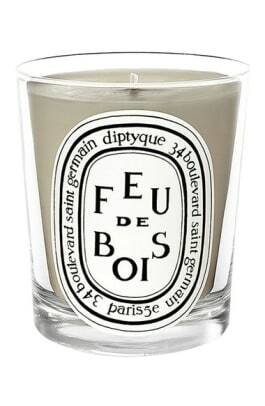 For the bathroom, Diptyque Feu de Bois. I like it because it&apos;s kind of neutral. For my living room I have the big, giant Santal candle. 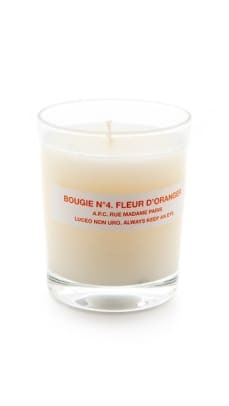 And for the entry to my bedroom I have A.P.C.&apos;s Fleur d&apos;Oranger. It&apos;s fresh and always smells good even if it&apos;s not lit." Dorianne: "Stella McCartney, Santal by Le Labo, and Maison Louis Marie Blan de Ballancourt, which is their version of Santal." Thea: "Kiehl&apos;s Musk. And China Rain —which is an oil—for body." Dorianne: "High-waisted pants—always neutral. Olive, brown, or tan. Never color, never pattern. I mostly wear black, gray, and cream, and if I&apos;m doing a color it&apos;s &apos;denim.&apos; I wear a lot of crop tops and a modest neutral sandal. And, depending on the weather lots of scarves." Thea: "Black jeans and boots. Lately I&apos;ve been into black cowboy boots." Dorianne: "I like Jesse Kamm sailor pants—I have two colors. I pretty much live in them. For both clothes and shoes, I love Rachel Comey. No. 6 clogs are like the only heel I&apos;ll wear really. If I&apos;m going fancy, like to a wedding, it will be Celine. I like the off-the-beaten path for most of the things I buy. The sandals I&apos;m wearing today are Anne Thomas." Thea: "I like Henry Cuir for handbags." How would you say you navigate trends? Dorianne: "In my head, I&apos;m not trendy (even though I probably am). I try to be as original as possible. I love shopping in person. I shop a lot when I travel." Dorianne: "I shop a lot in Israel. One of my favorite jumpsuits is from Israel and there are these pants I always buy from this one store—they make the same similar style, a really amazing high-waisted pair of black trousers. They&apos;re called Miss Alice." Thea: "I hoard fabrics from abroad. Total fabric-hoarder." Dorianne: "The Apartment by the Line because they have everything I need. My scent. My clothes. And furniture that I source for clients. What are some of your style rules you&apos;ve always followed? Dorianne: "Dress for your body. 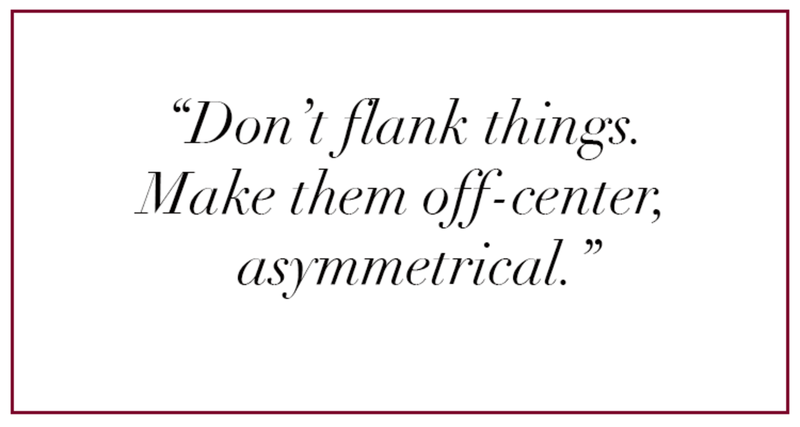 You need to know what to accentuate and hide. I have a small waist so I wear a higher waist pant to highlight what is nice about my body. Both my mom and I have a consistent look. We know what works for us and stick to it." What&apos;s your beauty routine like? Dorianne: "I don&apos;t really wear makeup. But I get facials, so that helps!" Thea: "I keep it simple beauty-wise but I have a hair wrap that I did as an intention for strength. (Ed note: you can see it in the photo above). It&apos;s gotten so long that I feel a bit like a donkey with a tail, but I put essential oils on it and it smells great." Thea: "Welcoming. Open. Soothing. Monochromatic." 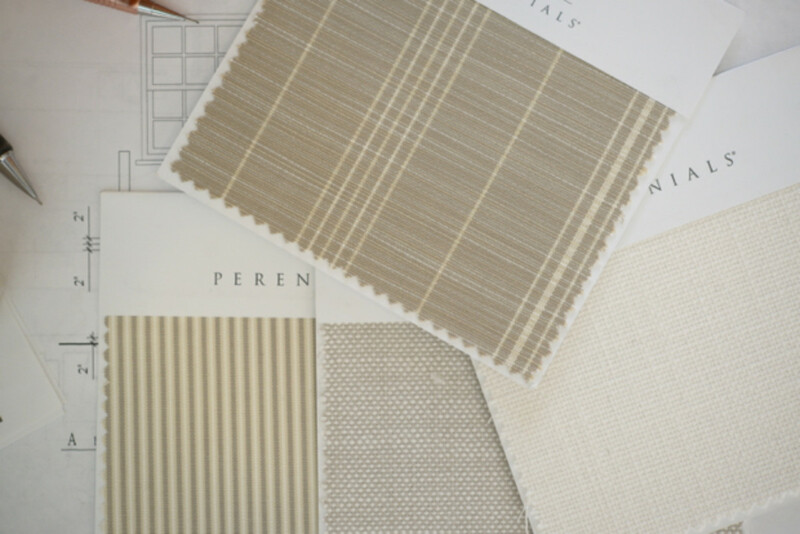 Thea: "Woven Accents is great. We get a lot of stuff on First Dibs and ebay." Dorianne: "Splurge on rugs and sofa. Save on coffee table and accessories. 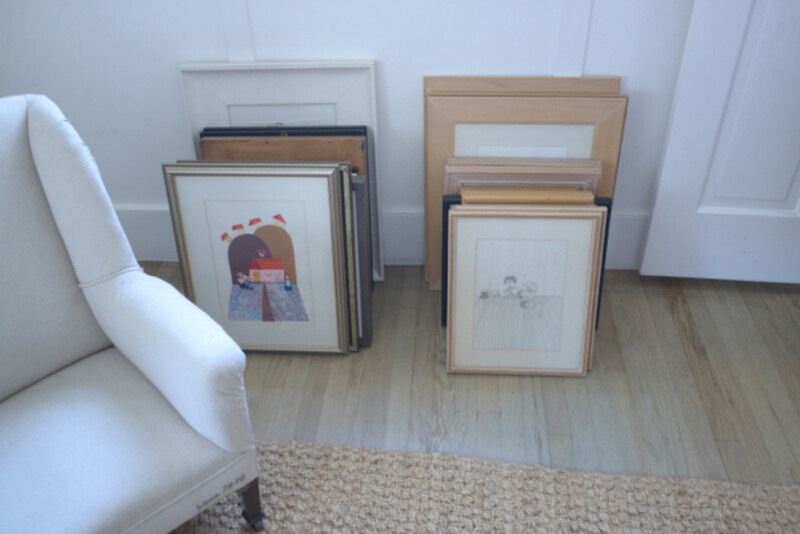 We almost exclusively get those at flea markets—art, vases, etc. I would also say, on your sheets, splurge." Click into the gallery to shop Thea and Dorianne&apos;s picks.